Gordon Ramsey may be one of the world’s richest chefs, making well over a hundred million dollars, but even a non-celebrity chef with no Michelin Stars can be worth as much. How? As with most things, it’s location, location, location. The chef needs to be working on an offshore oil rig, typically situated far into the ocean. A study by the journal of experimental social psychology found that meeting face-to-face is 34 times more effective than email. But we don’t need a study to know the lasting impact of an awesome event. In these high-pressure situations, it’s easy to forget the vital components that make an event run smoothly from start to finish. Global business travelers feel more nervous at train or subway stations than at airports, according to research commissioned by Carlson Wagonlit Travel (CWT), the global travel management company. 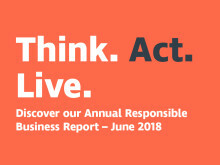 Today, we are releasing our Responsible Business Annual Report for the sixth consecutive year. This document is a testimony of how we progressed in 2017 towards the reach of our 2020 Responsible Business objectives. It is a palpable way of tracking all the work that has been done worldwide by all of us at CWT, and all the great things we have achieved by working together. Carlson Wagonlit Travel (CWT), the global digital travel management company, today published its latest Annual Responsible Business Report, showing significant progress towards its 2020 objectives. This latest report has reached the UN Global Compact Advanced Level, recognizing the success of CWT’s Corporate Social Responsibility program. Carlson Wagonlit Travel, the global travel management company, has appointed Niklas Andréen as Executive Vice President and Chief Traveler Experience Officer, effective September 2018. 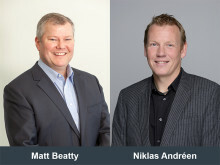 Based in London, Niklas will report to Kurt Ekert, President & CEO of CWT, and serve as a member of the CWT Executive Leadership Team. The percentage of business travelers who book hotels within their corporate travel programs has hovered around 50% - 60% for years. Travel managers told GBTA one reason is that their travelers want to stay at a different type of property than what’s available in their program. Another big reason? They can get better rates on their own. Consumers will always seek the path of least resistance to simplify their lives — and business travelers are no different. As corporate travel apps historically failed to keep pace with their leisure counterparts, business travelers have been torn between wanting an independent, intuitive and personal mobile booking experience, and needing to stick to policy. 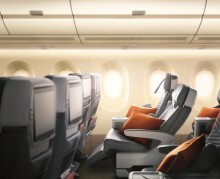 Research conducted by Carlson Wagonlit Travel (CWT) and Travelport shows that premium economy is the fastest growing cabin segment for business travelers in Singapore. Interestingly, the steady increase in premium economy bookings between 2015-2017 seems to have resulted mostly from travelers moving up from economy class, rather than down from business class. For 12 years now, the Institute for Economics and Peace elaborates the Global Peace Index. This report is a leading measure of global peacefulness. It bases its ranking in three factors: the level of societal safety and security, the extent of ongoing domestic and international conflict, and the degree of militarisation. The Business Of Pleasure: Can you turn a conference into a bleisure trip? 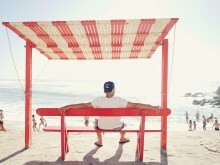 You’ve heard the buzzword, you’ve seen the articles — but is “bleisure travel” really catching on? Yep, and we say: embrace it. Fair trade, organic, sustainable, eco-friendly, recycled: You probably recognize these terms since they’re emblazoned on many of the products and services that we purchase. Whether you are a road warrior, or occasional business traveler, it is very likely that you have already experienced the unbearable disassociation of time and tiredness that changing time zones can bring. So, if you want to arrive at your meeting as fresh as a daisy and to outperform, I hope these seven jet-lag avoidance tips help. 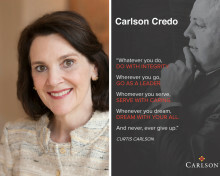 2018 marks Carlson’s 80th anniversary. This exciting milestone provides an opportunity to reflect on our history and celebrate our growth and evolution over the past eight decades. The Rule of Three is a style of communication which is often used in public speaking, or writing, to gain emphasis and focus on a core message on the premise that people respond subconsciously to groups of three. To work on our Community Involvement program, we have used the Rule of Three. 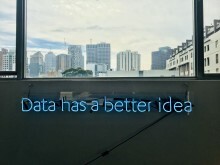 “You have to capture the data.” At the BTN Tech Talk in Chicago in May, Norm Rose of Travel Tech Consulting reiterated a point that many travel managers know all too well. When travelers book outside of your hotel program, you have to find a way to capture the data. 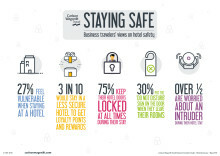 ​Globally, three in ten business travelers are happy to sacrifice safety for hotel loyalty and rewards incentives, according to research commissioned by Carlson Wagonlit Travel, the global travel management company. Travelers in the Americas are likeliest to do so (39%), followed by Europeans (34%) and travelers from Asia Pacific (28%). ​In the final post of our series aimed at debunking myths around the General Data Protection Regulation (GDPR) that comes into effect today, I invite you to exhale.